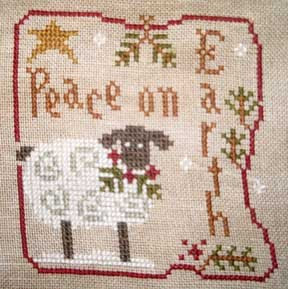 I managed to finish off LHN Peace on Earth and I finished the next one but just need to put the beads on. 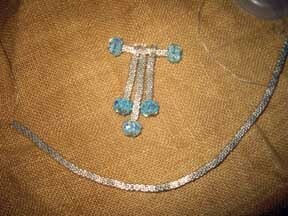 I also attended a Bead Workshop at Robinhoods Bay with Jenny, from the picture we have stitched a pendent in delica's, crystals and size15's and I am now making the rest of the necklace it is a 5 bead tube (delica's) in brick stitch I have stitched about 8 inch so far about another 7 inch to go, I want to try and get it finished by the next class in 2 weeks time. 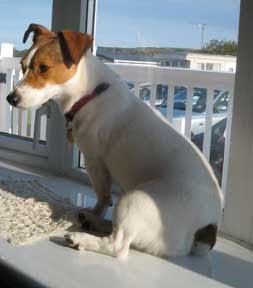 This is Penny she sat on the window ledge in the new Caravan watching for people to bark at!!! Glad you had a great getaway. Love your LHN ornament.